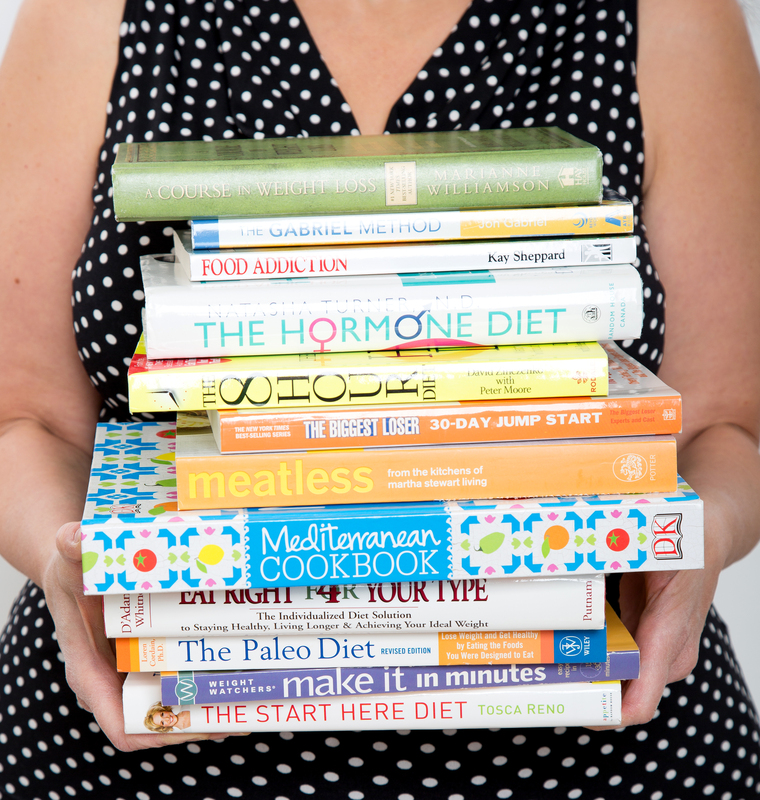 Join me on my yearlong journey as I test 12 diet claims in 12 months! I want to thank all of you for your words of encouragement and support throughout this experiment. Being accountable to you during 12 in 12 helped me stay the course, and for that I am truly grateful. The objective of the experiment was to find the right diet for me, and I believe I have done just that. I doubt I would have come to my conclusion had I not tested a variety of plans. Each offered clues to what my body liked and disliked, and what practices I’d commit to given my lifestyle. The experiment also helped me identify areas of imbalance, such as not getting sufficient rest, and ignoring the mental, emotional, and spiritual issues that led to me becoming obese in the first place. Throughout the experiment, I was asked several questions, but two came up repeatedly – how do you stop cravings, and what diet works best? If I had the answer to the first question, I’d be rich! Personally, whenever I tested plans that had me eliminate sugar from my diet my cravings subsided dramatically. As for which diet worked best, the answer varied depending if you meant which one gave me the best results on the scale (Answer: Paleo), or if you meant digestively (Answer: Whole Food, Plant-Based), or for my lifestyle (Answer: the ones that kept it simple). What I can say with certainty is that there is no ‘one size fits all’ diet because we are all different. When I started this journey, I thought I would find the answer by simply connecting the dots. Instead, I found the answer where the dots interconnected based on the criteria I valued most. Therefore, the winner of the experiment is not any one diet entirely, rather a combination of several plans that resonated with me. I call my personalized plan, THE BEST OF THE BEST, and this is what it will look like. My body responded best to Paleo on the scale, but my heart, conscience, and digestive system wants to be Whole Food, Plant-Based (WFPB). As contrary as that sounds, I will be doing both, the term for which is FLEXITARIAN – go figure! Adhere to Paleo’s protocol of not consuming grains, dairy, or legumes when I eat animal proteins. Aim to have a WFPB meal at dinner, allowing me to digest more efficiently before bedtime. Snacks will primarily be fruits, nuts, and seeds. Both Paleo and WFPB omit dairy and flour, which is doable for me, as I do not tolerate them well. 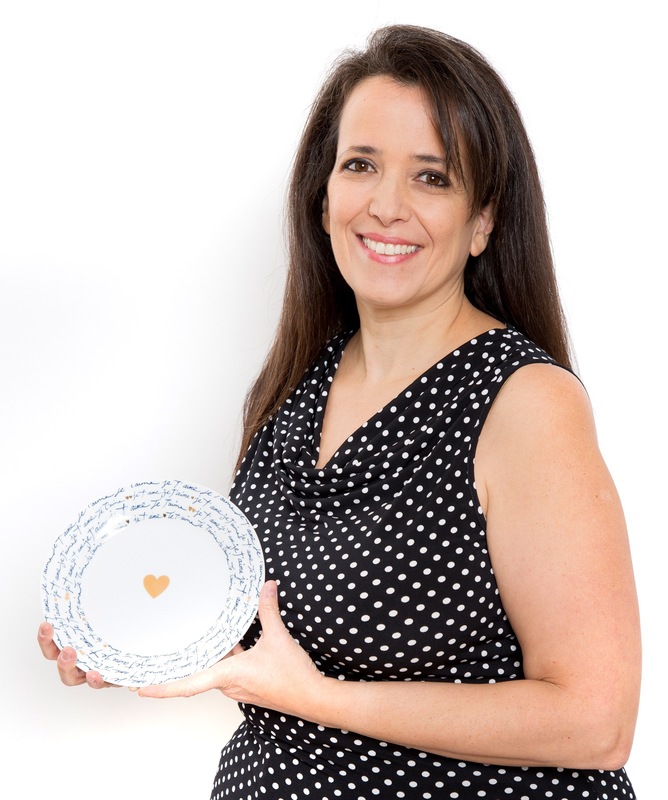 I won’t be weighing and measuring my food – it’s not always practical, and I hated doing it. 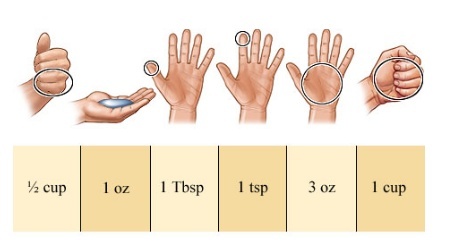 I will however, gauge portion sizes using the hand technique. When I tested plans that had me cut sugar (Twelve-Step Program for Food Addiction, Paleo, WFPB) I saw tremendous benefits. I stopped getting hot flashes, my cravings subsided, and I was able to taste the subtleties in foods again. However, diets anchored in ‘always’ or ‘never’ are my downfall, leading me on a self-destructive path of binges and regret – I feel like I failed, and ultimately fall off the diet bandwagon. Allow myself one teaspoon of sugar in my morning coffee. Adopt the practice of enjoying one or two desserts a week, like in The Mediterranean Diet. This way I won’t feel deprived, and will be less likely to binge. As someone who suffers from insomnia, I know firsthand that a tired body doesn’t burn calories as well as a rested body. Aim to get a minimum of 7 hours of sleep per night by continuing with The Hormone Diet’s protocol of powering down devices 2 hours before bed. Refrain from eating after 7 PM, not only to aid digestion, but to recharge my cells. Several plans recommended supplements, however, The Gabriel Method’s regimen worked best for me. One multi-vitamin (that includes vitamin E) and a multi-mineral. In addition, I take Vitamin D during the winter months. If I were grading my efforts during 12 in 12, I’d flunk myself when it came to exercise. I only incorporated regular physical activity when I tested The Biggest Loser and The 8-Hour Diet; otherwise, it was hit or miss. I think it’s because I hate the monotony of the machines at the gym. Channel my inner child and start playing again. Along with getting my 10,000 steps in a day, I’m going to participate in fun activities like hula hooping, jumping on my mini-trampoline, belly dancing, and going for walks along the lake to keep me active. I don’t want to dread exercise, I want to look forward to it. Hmmm, maybe the next phase of the journey will have me testing various exercise plans! Lastly, the mental, emotional, and spiritual lessons I tackled in the last quarter of 12 in 12 had the biggest impact on me. 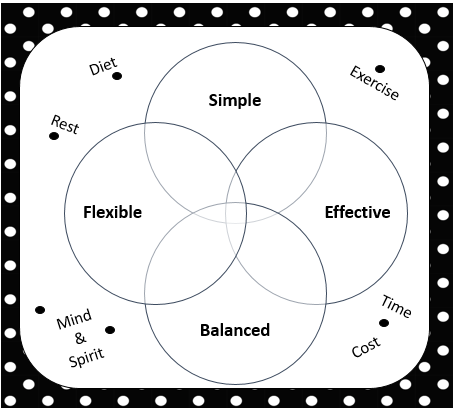 That’s why my customized plan will devote the same amount of time for soul work as for physical activity. I must exercise both for optimal health! Delve deeper into Marianne Williamson’s A Course In Weight Loss. Taking my time to work through the 21 spiritual lessons. Continue with the meditation and visualization exercises from The Gabriel Method. However, I will be recording my own morning and evening tapes, personalizing them for my needs. And so my friends, this concludes 12 in 12. However, the journey continues! I invite you to join me in the new year here on Searching For My After, where I will continue with The Best Of The Best chronicling my next step towards a happier, healthier me. SIZE 10 HERE I COME!!!! Cheeky Game Show Host Mare: Hello, and welcome to Health or Consequences, where Mare from Searching For My After will play one of three games chosen by the audience: Step Off, Target Practice, or Hang Ten. Please remind the audience how each of these games are played Game Show Announcer Mare. Game Show Announcer Mare: Think you can outstep Mare? Then challenge her to a Step Off! Whoever has the least amount of steps at the end of the week must do the predetermined consequence. Or set Mare’s step goal for the week in Target Practice – if she doesn’t reach it, then she will donate $10 to charity; if she does, you make a donation. And if she isn’t challenged, Mare will Hang Ten and play the original version of the game, where she aims to achieve 70,000 steps or more in a week, and if she doesn’t she must complete a consequence chosen by the audience. Cheeky Game Show Host Mare: What will we be playing this week? Game Show Announcer Mare: Hang Ten! Cheeky Game Show Host Mare: Are you ready to play Mare? Mare: I was born ready! 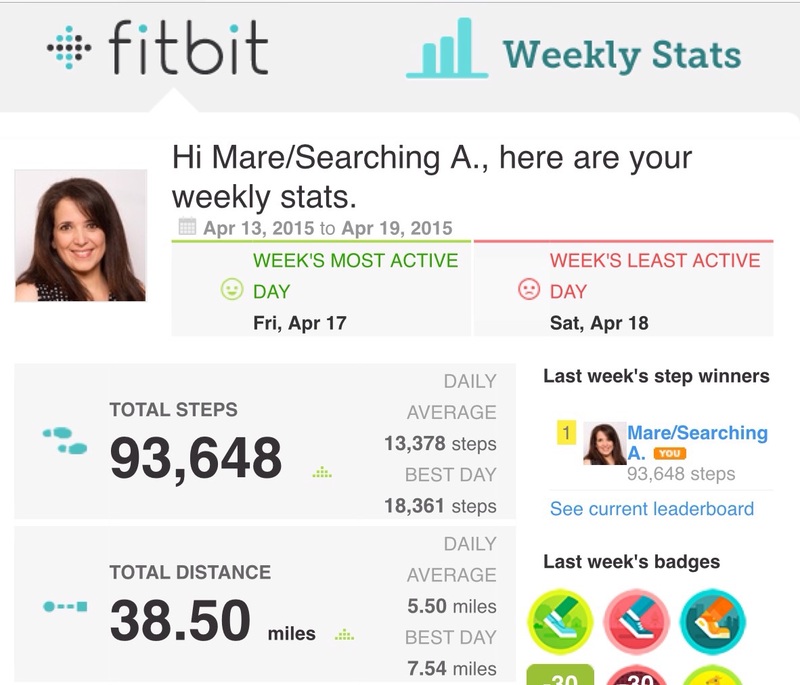 Cheeky Game Show Host Mare: Then let’s see what the Fitbit Wheel of Truth reveals. Cheeky Game Show Host Mare: Another great week! And to think, just a few months ago you barely reached half the daily minimum. Mare: I know! Who’da thunk it? Game Show Announcer Mare: This just in – a Target Practice challenge has just been declared for next week. 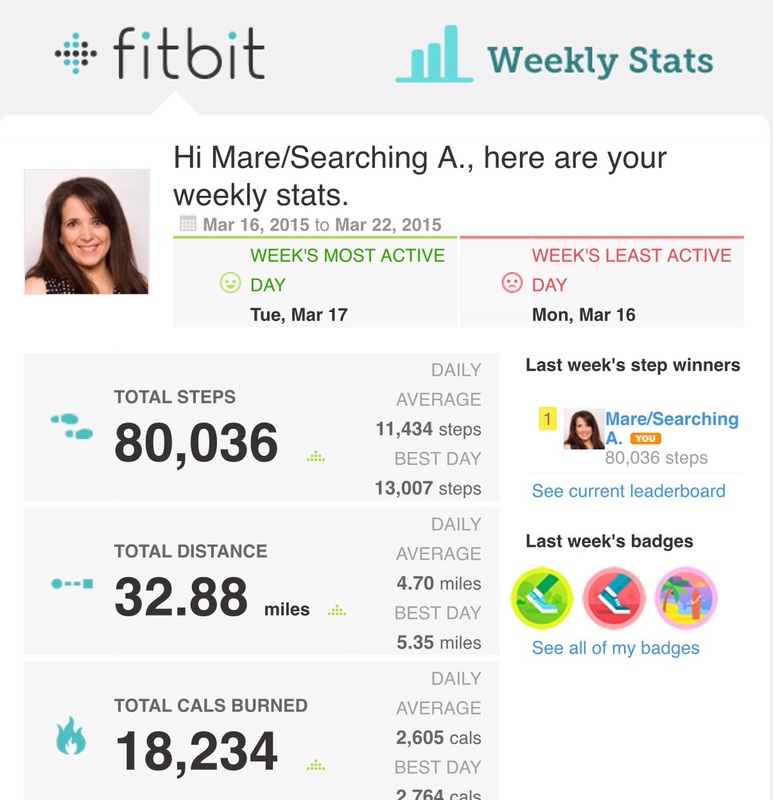 Mira G is taking aim and set your step goal for 79,797 steps. If you reach or surpass this target, Mira will donate $10 to the MS Society. Cheeky Game Show Host Mare: Now we’re talking! 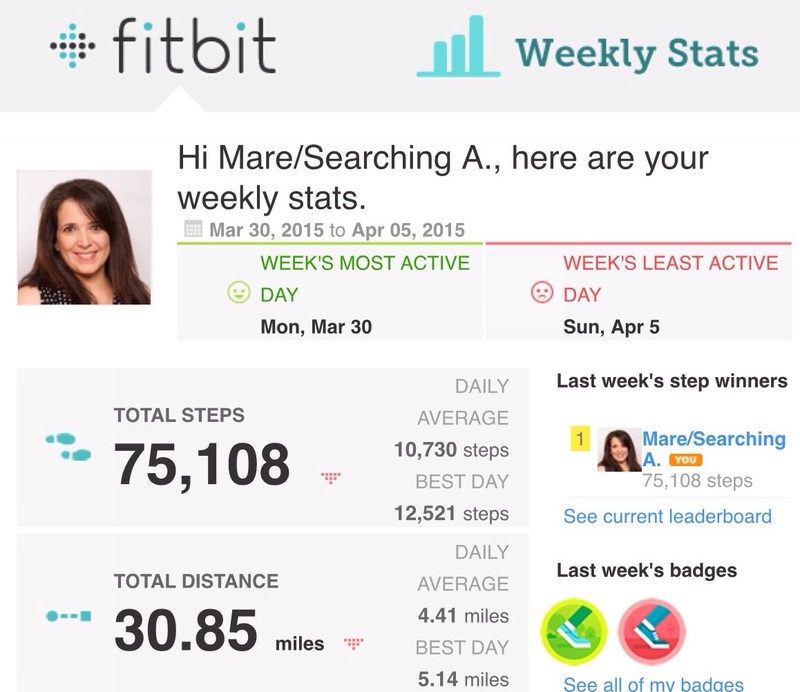 That’s 7,202 steps more than this week! Do you think you can do it? Mare: It’s a stretch, but I’ll do my best. However, if I don’t make it, my $10 donation will go to the Heart & Stroke Foundation. Cheeky Game Show Host Mare: That’s all the time we have, folks. Join us next week to see if Mare hit the target, or was a sitting duck. This is Cheeky Game Show Host Mare, reminding you to choose HEALTH, or else you’ll have to live with the CONSEQUENCES. Game Show Announcer Mare: If you would like to challenge Mare in either Step Off or Target Practice, please leave a comment via the blog, Facebook, or in person. Cheeky Game Show Host Mare: Hello, and welcome to Health or Consequences, where Mare from Searching For My After aims to achieve 70,000 steps or more in a week. If she doesn’t, she must complete a consequence chosen by the audience! Mare: Actually, that’s about to change. Cheeky Game Show Host Mare: How so? 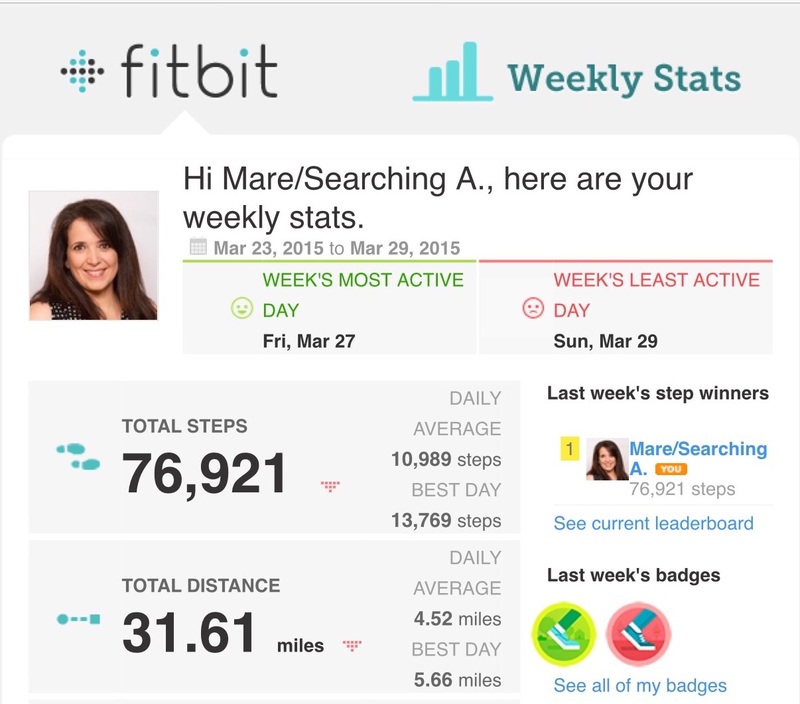 Mare: Since starting Health or Consequences a few months ago, I’ve heard from several readers who bought an activity monitor to find out just how many steps they were getting in a day. Many went from curious to surprised when they discovered they weren’t achieving the daily minimum of 10,000 steps either. 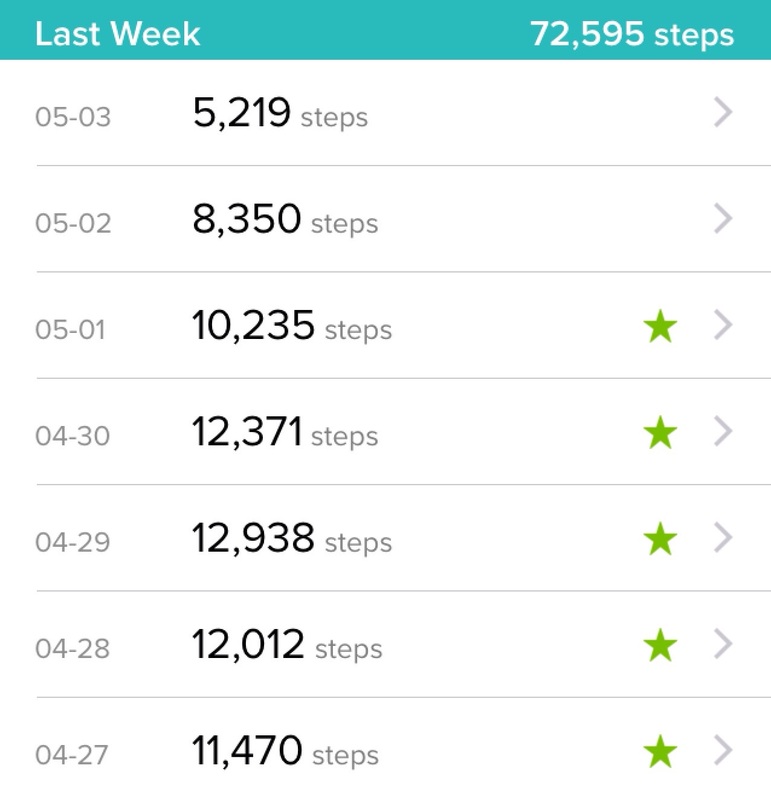 So while I know many of you stay up nights wondering if I’ll hit the 70,000 step target, and wait with bated breath as the Fitbit Wheel of Truth beee-booops until it reveals my fate for the week, it dawned on me that I shouldn’t be the only one marching around town getting fit and tooting my own horn…. We should ALL be tooting until we stink up the city with health and vitality! 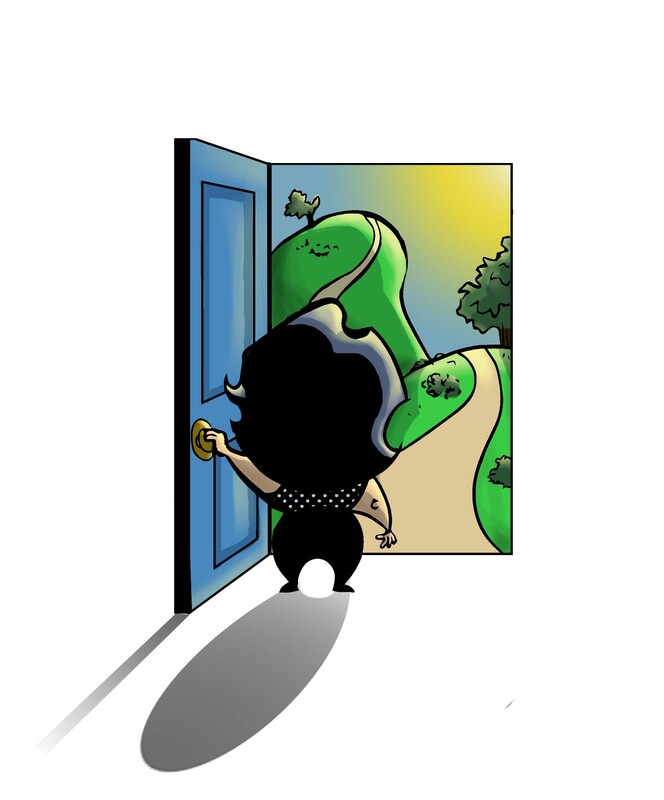 No more sitting on the sidelines – it’s time to make this game interactive! The week the challenge will take place. The consequence, which will be communicated on the blog the week before our challenge starts. Exchange our progress reports at the end of the week, and post them on the blog following the challenge. The high stepper gets to do the Walk of Fame. The low stepper must complete the consequence within 4 weeks of the challenge, document it (i.e. video or photograph) and agree to have it posted on the blog. YOU set my step target for the week and I aim to achieve it. (I don’t want to be a sitting duck Mare, so I’ll do my best to keep moving!) Keep in mind that the minimum is 10,000 steps a day. The maximum should be a stretch, but reasonable, because this lady still has to go to work and get her beauty sleep at night. If I don’t hit the target, I will donate $10 to the Heart & Stroke Foundation. However, if I do, the challenger must donate $10 to the charity of their choice. It’s a win-win-win situation! If I don’t receive a challenge for the week, I will continue to play the game as it currently stands. Cheeky Game Show Host Mare: How exciting! How do people challenge you? Mare: I can be challenged in person, via email, or through the blog. So slip on your favourite runners, Birkenstocks, or tap shoes and let the games begin! Cheeky Game Show Host Mare: Before we move over to the new format, let’s see how you did last week. Cheeky Game Show Host Mare: Wow! That’s your all-time record Mare. Mare: It was an exceptionally busy week and I don’t expect to see numbers like that all the time. Cheeky Game Show Host Mare: Speaking of time, that’s all we have for this week. This is Cheeky Game Show Host Mare, reminding you to choose HEALTH, or else you’ll have to live with the CONSEQUENCES. Cheeky Game Show Host Mare: Hello, and welcome to Health or Consequences where Mare from Searching For My After aims to achieve 70,000 steps or more in a week. If she doesn’t, she must complete a consequence chosen by the audience! Cheeky Game Show Host Mare: Let’s see how you did last week. Cheeky Game Show Host Mare: 78,239! This is getting too easy for you. Mare: I wouldn’t say ‘easy’, but I am being more mindful of getting more activity in my day. You do have a point though. I think we need to spice this game up a bit. Game Show Announcer Mare: I hope you like your slugs well done! Mare: Sorry to disappoint you, but I did my consequence in time. Roll the clip, Game Show Camera Mare! Cheeky Game Show Host Mare: Good on you, but we were hoping you’d miss your deadline. Mare: You sadistic figments of my split personalities…. as I was saying, I plan on spicing the game up sans slugs. Mare: Stay tuned, and all will be revealed during next week’s episode. Cheeky Game Show Host Mare: How exciting! 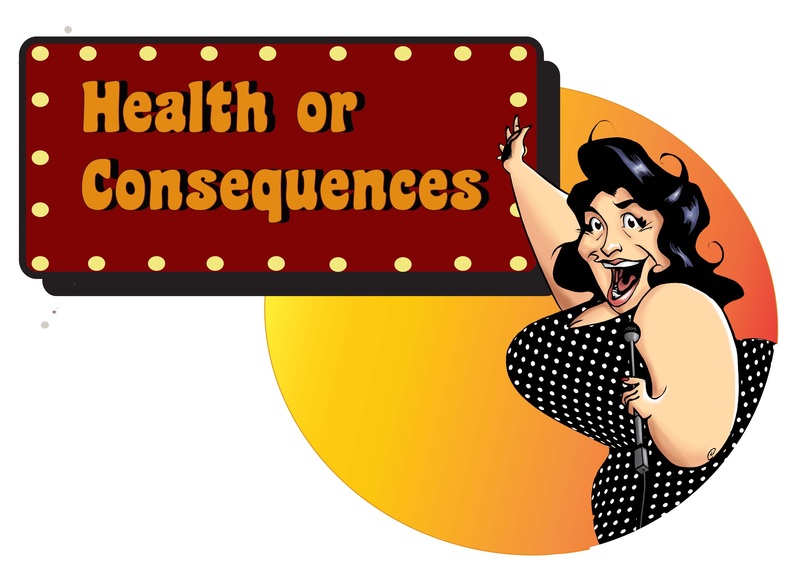 Until then, I’m Cheeky Game Show Host Mare, reminding you to choose HEALTH, or else you’ll have to live with the CONSEQUENCES. Cheeky Game Show Host Mare: Hello, and welcome to Health or Consequences where Mare from Searching For My After aims to achieve the weekly 70,000 recommended steps for optimal health. Should she reach, or surpass this goal, she will do the Walk of Fame! However, if she falls short of the target, she will do the Walk of Shame, and will have to complete a consequence chosen by the audience! Cheeky Game Show Host Mare: 75,108! Outstanding! You’re on a roll! Tell her what she wins Game Show Announcer Mare! Game Show Announcer Mare: Mare, during your Walk of Fame you’ll get to toot your own horn and continue to improve your health! Mare: Do I get a full ‘toot’ this week, or are you going to cut me off again? Cheeky Game Show Host Mare: We’re back to our regular timeslot, so toot away! Cheeky Game Show Host Mare: Mare, we’d like to remind you that you have a consequence due next week. Cheeky Game Show Host Mare: We look forward to it! However, if it isn’t completed by next Thursday, Game Show Announcer Mare has been coming up with creative ways to serve your SLUG penalty. Game Show Announcer Mare: There’s slug-kabobs, slug creole, slug gumbo. Pan fried, deep fried, stir-fried. Game Show Announcer Mare: There’s pineapple slug, lemon slug, coconut slug, pepper slug, slug soup, slug stew, slug salad, slug and potatoes, slug burger, slug sandwich. Game Show Announcer Mare: That’s about it. Cheeky Game Show Host Mare: And that’s all the time we have. I’m Cheeky Game Show Host Mare, reminding you to choose HEALTH, or else you’ll have to live with the CONSEQUENCES… like eating a slug. Mare: Where’s Game Show Announcer Mare? Cheeky Game Show Host Mare: We’re cutting the game short this week because some blabbing blogger took up all OUR airtime yesterday. Mare: Oops, my bad. But in my defence, it was the first of the month and that’s when I introduce my new plan for 12 in 12. That takes a lot of time. Cheeky Game Show Host Mare: Time we no longer have for today’s show. So, let’s spin this sucker and see if you do the Walk of Fame and get to toot your own horn, or the Walk of Shame and do a consequence. Cheeky Game Show Host Mare: 76,921! Another great week! Toot it lady! Cheeky Game Show Host Mare: That’s enough. You can yack all you want next week when we return to our regular timeslot. This is Cheeky Game Show Host Mare, reminding you to choose HEALTH – even if you’re short on time – or else you’ll have to live with the CONSEQUENCES all the time! Cheeky Game Show Host Mare: Hello, and welcome to Health or Consequences where our contestant aims to achieve the weekly 70,000 recommended steps for optimal health. Should she reach, or surpass this goal, she will do the Walk of Fame! However, if she falls short of the target, she will do the Walk of Shame, and will have to complete a consequence chosen by the audience! Game Show Announcer Mare, tell us what we already know. Game Show Announcer Mare: We’ve got Mare, from Searching For My After. Cheeky Game Show Host Mare: Welcome back, Mare. Have you recovered from last week’s debacle? Mare: I’m trying to, but it still stings. Cheeky Game Show Host Mare: Have you done your consequence yet? Mare: Not yet, but I’m working on it. Cheeky Game Show Host Mare: Let me remind you and our audience that you have 4 weeks from the time you draw the consequence from the Bucket o’ Shame to complete it. If you don’t, tell her what happens next Game Show Announcer Mare. Game Show Announcer Mare: Ahhh… we haven’t thought that far ahead…. Cheeky Game Show Host Mare: …You have to eat a slug! Mare: You made that up! Cheeky Game Show Host Mare: Yes. Yes, I did. But until we come up with an adequate penalty for not completing your consequence, eating a slug it is. Mare: How is that relevant to the show? Cheeky Game Show Host Mare: Do you want to eat a slug? Cheeky Game Show Host Mare: Do you want ill health? Cheeky Game Show Host Mare: And that’s how it’s relevant! Mare: I assure you, you’ll have my filmed consequence before the 4 weeks are up. Cheeky Game Show Host Mare: Wonderful! How do you think you did last week? Cheeky Game Show Host Mare: How awesome? Mare: So awesome my feet hurt from all the walking. Cheeky Game Show Host Mare: No forgetting to put your bit back in the wristband after charging it this week? Mare: That’s a mistake I’ll only make once! Game Show Announcer Mare: Like the time we tucked our skirt into our underwear and walked out of the house giving the neighbours a peep show? Mare: We said we would never speak of that to anyone! 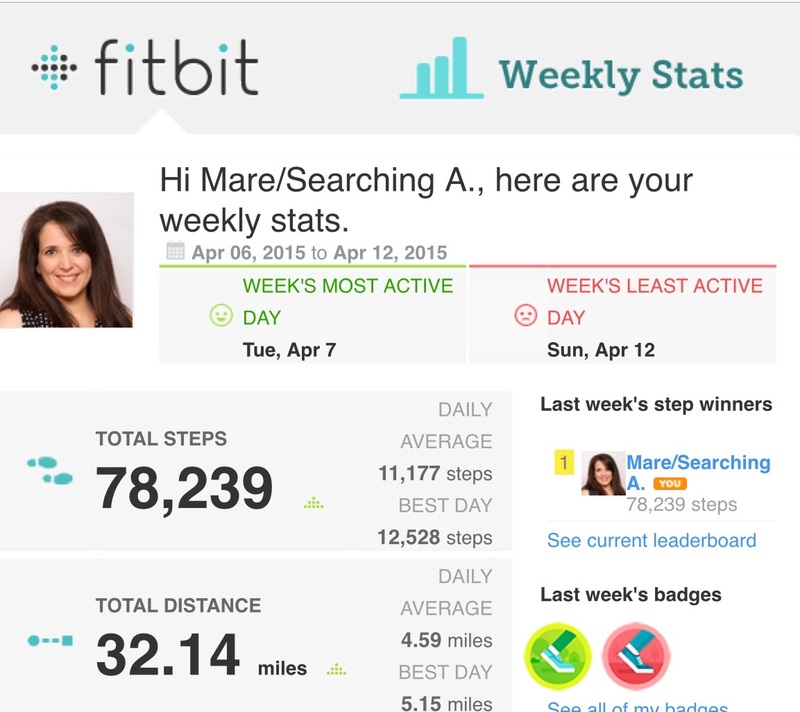 Cheeky Game Show Host Mare: All-righty then, let’s see what the all-seeing, all-knowing, step-sensing, Fitbit report reveals…. Cheeky Game Show Host Mare: 80,036! Outstanding! You get to do the Walk of Fame this week. Mare: What a relief! I don’t think I could face the Bucket o’ Shame again so soon! Cheeky Game Show Host Mare: Tell her what she wins Game Show Announcer Mare! Cheeky Game Show Host Mare: That’s an all-time record for you. How did you manage to get 8 days of steps into 7? Did you start sleepwalking? Mare: Sleepwalking… what a great idea! A step is a step no matter when you take it! Game Show Announcer Mare: I wonder how many steps those Walking Dead zombies get in a day? They’re always on the go. I bet they kill it on their progress report! Get it? Kill it?!!! I crack myself up. Cheeky Game Show Host Mare: Geesh, anything for a line. So, Mare, what did you do to break your record? Mare: I bought comfy walking shoes and kept walking from the moment I laced them up. I kept the car in the driveway this weekend, and I walked anyplace within 2 km that I would normally have driven to, like the grocery store, and my girlfriend’s place. Cheeky Game Show Host Mare: Was it difficult? Mare: Somewhat for a plus-sized girl like me, but it’s getting easier every day. Cheeky Game Show Host Mare: I can’t wait to see what you register next week. Until then, I’m Cheeky Game Show Host Mare, reminding you to choose HEALTH, or else you’ll have to live with the CONSEQUENCES!